Memorial Day--May 29th in the United States. May it be a peaceful weekend around the world. Jeff Simmons (Elanco VP & 2014 BCCA winner) gives 5 reasons why he thinks big opportunities await young people in the world of agriculture. 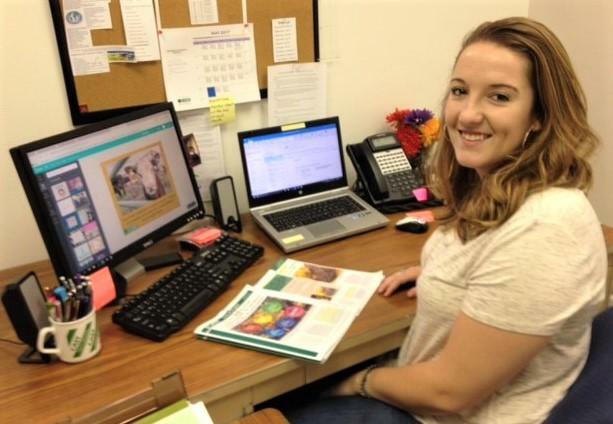 Kylie Peterson brings an Iowa State ag degree, a family farm background, and varied social media expertise to CAST. Click here to read about her skills and experiences, including extensive work with Simmental cattle and an intense period of time with a cantankerous steer named Buck. Narrated by Neil deGrasse Tyson, this important new film explores the controversies surrounding GMOs and food--it features varied opinions from Mark Lynas, Jeffrey Smith, Alison Van Eenennaam, and others. The Texas A&M Beef Cattle Short Course (Aug. 7-9) attracts attendees from around the world. And the Kansas State Research and Extension Office released these dates regarding ag-related summer events. This farm-to-school program empowers children and their families to make informed food choices while strengthening the local economy and contributing to vibrant communities. The term "sustainability" is important, but it can also be hard to define or measure. 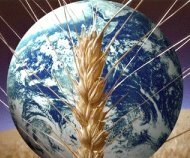 Consumers, policymakers, and food producers alike are concerned about the environment, but it is best to follow the science and study the facts before deciding how to ensure global food security. 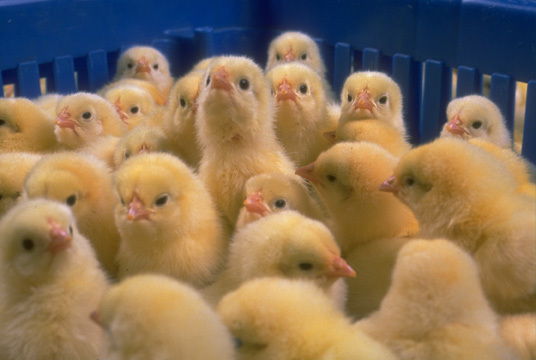 Some believe that feed produced for animal consumption competes with human food supplies. For example, the beef industry has been criticized for its "environmental hoofprints." Recent articles and a relevant CAST Issue Paper from a few years back address this issue. 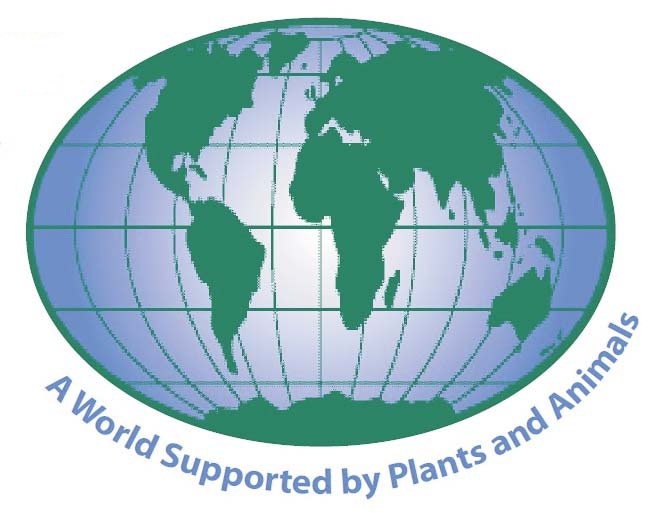 Livestock expert Jude Capper sums it up this way: "Livestock sustainability continues to be a significant issue for producers, policy-makers, and consumers worldwide. We are faced with the challenge of communicating the benefits of livestock production to food stakeholders to maintain a resilient global industry." **Federal Budget Proposed: President Trump's fiscal 2018 budget proposes to cut crop insurance by $29 billion over 10 years, slash nearly 30% from food stamp spending, and gut some key conservation, international food aid, and rural development programs. With hopes of reducing federal spending by $3.6 trillion over 10 years, the government would reduce USDA staff by 5.5% across a range of agencies. Several U.S. farm groups pushed back against the proposal to slash agriculture spending, viewing it as a fresh threat to a struggling farm economy. Agriculture Secretary Sonny Perdue affirmed that crop insurance and other farm programs are important, but he says it is critical to address the federal budget deficit. **Prepping for the Next Drought: The five-year drought that shook California agriculture to its core may be over in most places, but the sense of urgency it created continues to grow. In university laboratories and farm fields around the state, growers and researchers are working feverishly to find ways for the state's orchards, vineyards, and row crops to get by with as little water as possible--before the next big drought. **Smart Labels--Biotech Included: While some food companies use vague or misleading labels to attract buyers, a number of companies decided to make the voluntary disclosure that their food includes ingredients that are improved with the use of biotechnology. Waiter--there's a rat in my soup! 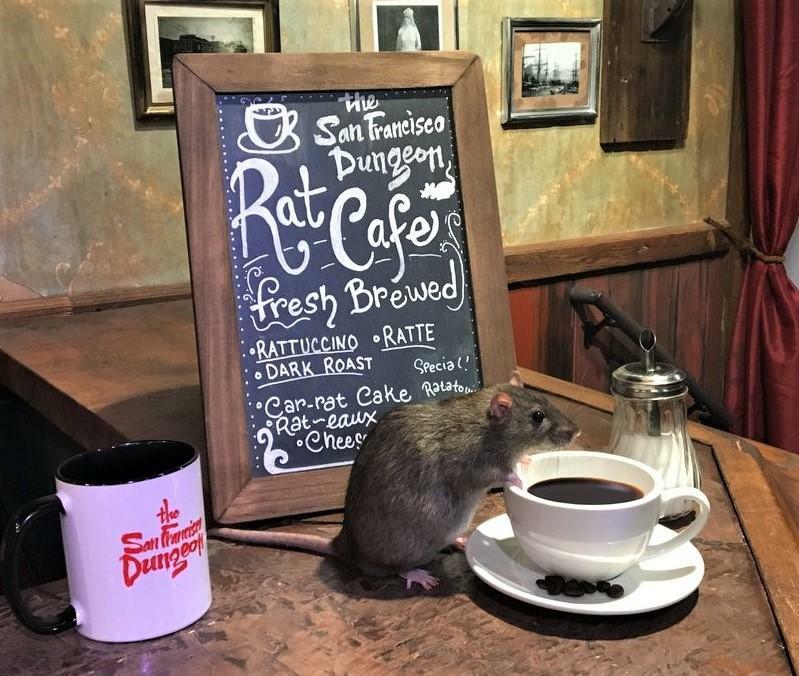 Coffee, a Donut, and a Few Rats: (video): A San Francisco theater says it will host several Rat Cafe experiences this summer. "They're tame and you can pet them!" Laughing With--Not At--Some Funny Animals: Check out award-winning photos of creatures caught in odd poses. Sittin' on the Dock of the Bay (video): In case you missed this viral video, a sea lion surprises everyone by dragging a young girl into the water, and a quick-thinking grandpa saves her. CAST has benefited from the guidance and leadership of respected experts since 1972, and today's list is no exception. Busy people put in time to help promote the mission of communicating valuable, science-based information--and this week we note some of the recent changes to the Board of Representatives. Land O'Lakes, a longtime supporter of CAST, has recently added Jason Sewell as a CAST board member. Jason is a Senior Scientist for Research and Development and will be representing Purina Animal Nutrition, LLC, on the animal work group. Luke Bozeman will represent BASF Corporation where he is the Director of Research and Development Crop Protection. 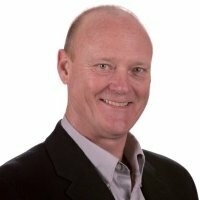 Luke is responsible for general management related to biological product performance, along with affiliated programs that support and achieve commercialization of BASF Crop Protection and Functional Crop Care development opportunities and regional brand extensions in the United States and Canada. A former resident of northwest Florida, Luke grew up on a diversified farm and later received a degree in entomology from Auburn University. Jamie Jonker will represent the National Milk Producers Federation where he serves as Vice President of Sustainability and Scientific Affairs. Jamie's current responsibilities include animal health and welfare, animal biotechnology, technical service issues, dairy farm biosecurity, air and water quality, and sustainability. A graduate from the University of Maryland, Jamie has a Ph.D in animal science, and he is actively involved in numerous national and international committees. Photos courtesy of the Agricultural Research Service (top masthead); TopLatest News (globe at right). 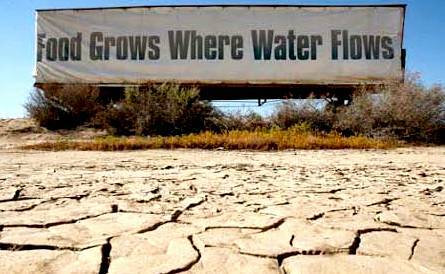 P. 1 drought pic from ecowatch.jpg and rat pic from pbs.twimg.com. Animal Sec. cow pic from ichef.bbci.co.uk. Food Sec. pineapple pic from mycaseiscuter.com. Inter. Sec. firefighter pic from earthables.com. Gen. Sec. smartphone pic from vtnews.news.edu. 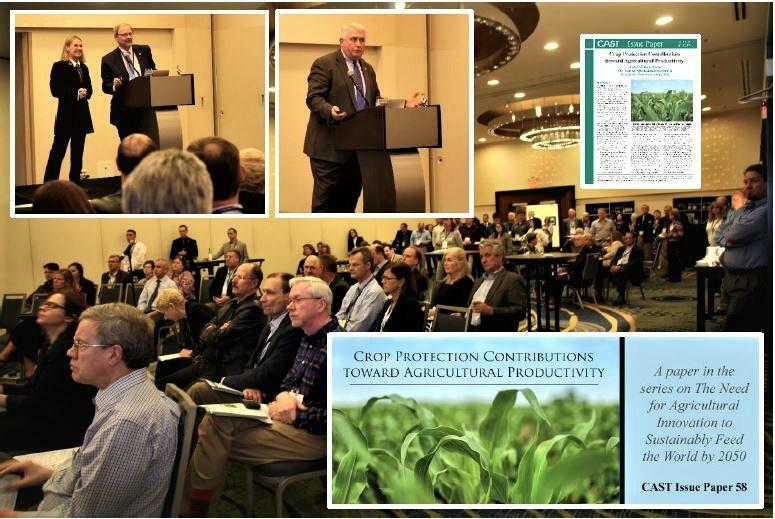 Unless otherwise noted, photos courtesy of the USDA Agricultural Research Service. A Look at the Chicken Industry (videos): This poultry company created a series of films to provide a glimpse of how chickens make it to dinner tables. Stories come from farmers, animal welfare specialists, veterinarians, chefs, and more. 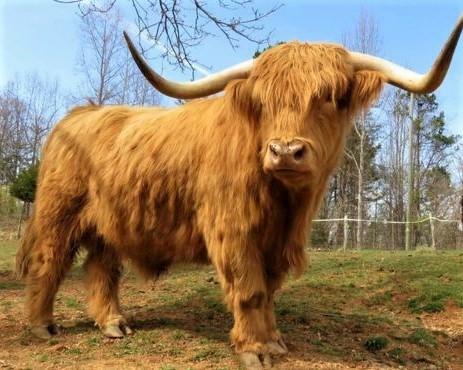 An American farm couple share their love of Scottish Highland cattle, including Hamish. 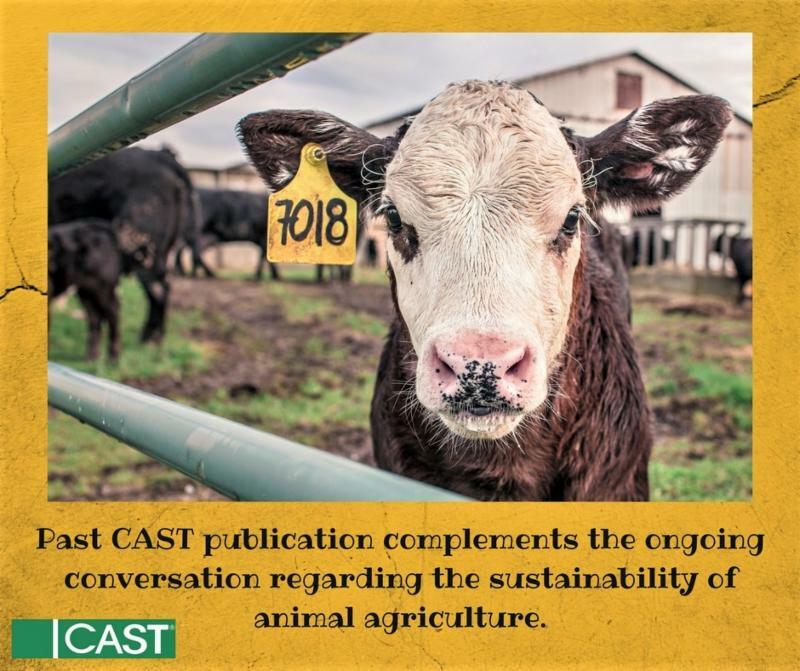 Beef Sustainability (see article on p. 1): This blog features several articles and a research paper that examine beef and environmental concerns. A Lighter Hogprint (related to above): Hog producers continue efforts to improve environmental sustainability, and this study shows the progress made by the pork industry. Milk Labeling Continues to Be an Issue: State milk regulators requested that the U.S. Food & Drug Administration work with them to enforce the proper use of milk and milk product labeling terms. Egg Facilities (slideshow): A patent-pending facility and construction design is trying to reinvent how a layer house can be built, as cage-free egg facilities utilize innovative new construction processes. Caring for Calves: According to Kansas State research, susceptibility to disease in young, long-hauled calves is greatly enhanced, and the consequence of sickness is a major cause for poor production outcomes. Promoting Pork (opinion): According to this National Hog Farmer blog, the pork needs of consumers worldwide are a mixed bag of personal preferences and cultural differences. Finesse Rather Than Hammers and Brute Force (video): Gordon Ramsay shows how to get the last bit of meat from a lobster. 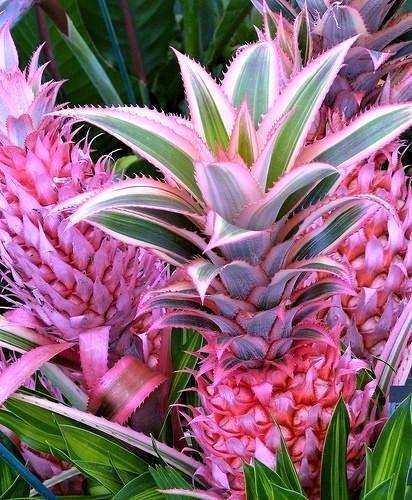 Pink pineapples finally get approved by the FDA. Butter Is Back (includes podcast): A new book looks at the history and varied flavors of butter--Butter: A Rich History. Chocolate and Your Fluttering Heart: A new Harvard study suggests that regularly eating small amounts of chocolate may help protect your heart from atrial fibrillation. Juiced (opinion): The American Academy of Pediatrics recommends that kids under the age of one should avoid fruit juice--whole fruit is preferable. Some evidence shows that 100% orange juice is beneficial for adult health. Eat Your Fruits and Vegetables (opinion): Media stories about biotech and pesticides may convince some consumers that it is not safe to eat certain fruits and vegetables, but that is not the case. Peppered: According to this link, black pepper has been proven to reduce carcinogenic compounds potentially found in grilled meats. New Policies to Fight Food Waste: This award-nominated essay about the USDA's new policies in 2016 to reduce food waste was written by a University of Arkansas law student. 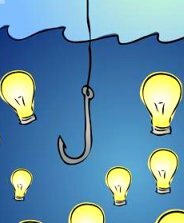 Fish Freshness Is a Gas: Taiwanese researchers developed a semiconductor sensor that detects fish freshness in one minute--based on measuring gases. Cover Crop Demo (video): This crop expert describes his no-till practice and discusses the techniques he uses to limit soil disturbances and maintain continuous cover on his farm. Click here for free access to CAST IP58, Crop Protection Contributions toward Agricultural Productivity. Crop Damage: The spread of pests and pathogens that damage plant life could cost global agriculture $540 billion a year, according to a report released by the Royal Botanic Gardens in London. Pest Control (related to above): Gene drives are a class of biotechnologies with the potential to transform pest control during the next decade. What Came In Number One? The Weed Science Society of America recently announced a list of the most troublesome weeds--based on herbicide resistance, frequency, and crop damage. Corn Cups and Soybean Sneakers? Corn and soybeans have been used to make automobile seat cushions, IKEA mattresses, yogurt cups, moisturizers, sneakers--and soon maybe even Legos. Biotech Versus Bacteria: Scientists are genetically engineering viruses to get rid of bacteria threatening the $3.3-billion orange industry in the United States. Fighting a Parasite Nematode: A researcher at Iowa State University studying a parasite nematode that threatens populations worldwide may have found a lead to improved therapies. Managing Mutations in Tomatoes: Scientists use CRISPR edits to harness two mutations--each cherished by breeders but detrimental when combined--to improve on 10,000 years of tomato domestication. 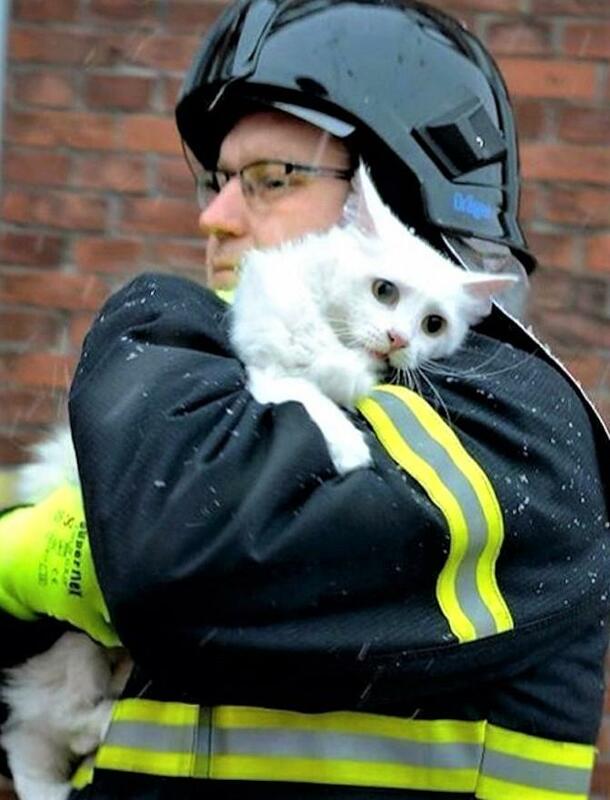 Firefighters might rescue cats from trees, but across the United Kingdom they are being trained to cope with large animals that need help. Taking to the Sky (video): Hong Kong imports more than 90% of its food--much of it from mainland China. But more people are growing their own--some on hidden rooftops. Seed Vault Survives Flooding: Norway is boosting the flood defenses of its arctic-based Global Seed Vault after water entered the entrance tunnel--high temperatures caused the permafrost to melt. Digital Tech in Africa: Entrepreneurs are now interested in how farmers work and how they can help improve yields--cloud computing, computing systems, connectivity, open-source software, and other digital tools. Tech, Innovation, and Agriculture (graphs and charts): This article contends that China is undergoing a revolution that may be every bit as influential as the industrial transformation that rewrote global trade. Drought Brings Shortages: Kenyans have been facing shortages of basic foods following a drought last year that affected the country's food stocks. Poultry Farmers Struggle in Ghana: Some poultry farmers in Ghana claim that the constant refusal by the government to pay debts owed them is sending the industry to its knees. Public to Weigh In: China will survey the public's acceptance of genetically modified food, a technology the government says would boost yields and sustainable agriculture--but the public has been skeptical. Let It Bleed: New research has nudged scientists closer to one of regenerative medicine's holy grails--the ability to create customized human stem cells capable of forming blood that would be safe for patients. In case poison ivy is not on your wish list. Water Conservation: Mobile Drip Irrigation involves attaching driplines to center pivot drops. It has the potential to eliminate water losses due to spray droplet evaporation, water evaporation from the canopy, and wind drift. 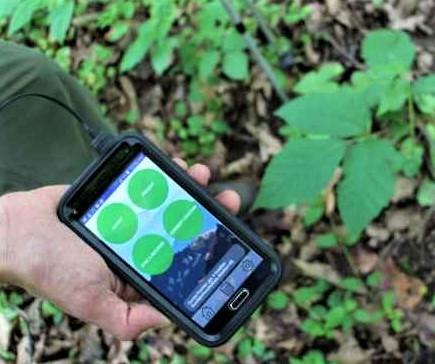 Arboretum App: A new USDA app will make sure visitors to the vast National Arboretum facility can easily find the gardens and plants they want to see (photo at right). Beauty in the Buzz: Up to 15,000 people took part in the Great British Bee Count--recording 383,759 bees--and these photos show some of the beauty that comes with the buzz. Folta Speaks about Vertical Farming (podcast): Vertical farms (or repurposing urban space for agriculture) are becoming increasingly feasible--as lighting, cooling, and automation advances are more and more efficient. Golden Rice Controversy: Some claim that Golden Rice could help 250 million preschool children around the world who are vitamin-A deficient--but adaptation is extremely slow. Your Underwear Is Glowing: Apparently E. coli bacteria can do many weird things, and researchers at MIT have created a material using biotech E. coli in what might be the first example of semi-living clothing. Become a Better Teacher and Leader ? Start. Right. Now. Discover how you can take the first step toward excellence in your classroom, school and community with this year’s NAAE Virtual Book Club. This summer we will be immersing ourselves in a culture of excellence with Start. Right. Now., by Todd Whitaker, Jeffrey Zoul, and Jimmy Casas. The book centers around the four key behaviors of excellence for teachers and leaders – Know the Way, Show the Way, Go the Way, and Grow Each Day. The goal of the book club is for participants to understand and be able to apply each of these keys to their own agricultural education programs. As we work our way through the book, we will learn how to be more effective teachers and leaders by viewing our classrooms and schools from a new perspective. Beginning in June, the book club will feature weekly reading assignments that will be posted on Communities of Practice. After completion of all the assignments, participants will be awarded 10 hours of professional development credit. Check out the Virtual Book Club on Communities of Practice here. Registration for the NAAE Virtual Book Club is now available by following this link. Registration will close on June 9th, so make sure to sign up as soon as possible for this fantastic, work-at-your-own-pace professional development experience. This is an article from the May 2017 edition of NAAE’s News & Views Newsletter. To read News & Views in its entirety, please visit this link. If you’ve been on NAAE’s Communities of Practice professional networking site recently, you many have noticed a new logo has joined Zoetis at the top of the front page. New Holland has joined Zoetis in its’ support of agricultural education as a flagship sponsor of the site. Thanks to the New Holland sponsorship, Communities of Practice will be able to continue to grow and reach thousands of agriculture teachers across the nation. 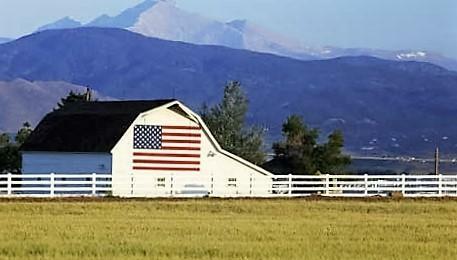 Communities of Practice is a professional networking site for agriculture teachers. You can share ideas and lesson plans, ask questions, discuss those burning program questions, and so much more. If you haven’t joined Communities of Practice, make sure to check it out here. The resources are endless! And with New Holland’s support, we’ll be able to add even more. With more than a 120 -year history of innovation in agricultural equipment, New Holland has been serving the needs of farmers and ranchers across North America. New Holland manufactures a wide range of equipment, including a full line of tractors; hay and forage equipment; and harvesting, crop production and materials handling equipment. Worldwide, more than 3,000 New Holland dealers serve customers in 160 countries. Click here for more information about New Holland. The very best agricultural education programs have a reach far beyond the classroom. For many people, agricultural education is offered through a variety of programs and organizations that offer a more non-traditional classroom experience. Such is the case in Chatsworth, Ga., where the Murray County Young Farmer Organization (MCYFO) is located. Situated in the northwest corner of Georgia, the Murray County Young Farmer Organization offers a unique opportunity for adult agricultural education to a population mostly employed by the carpet industry. With over 70 members, the MCYFO is an extension of the Murray County FFA program and teaches basic agriscience and mechanics to the community – a much needed opportunity for an area that still has over 800 farms which produce numerous agricultural commodities. In addition, the MCYFO also runs the Murray Agriculture Center and cannery in the summer. Not only does the MCYFO provide adults with ag education, it also promotes collaboration and partnerships with its members and the students enrolled in the Murray County High School agriculture program. MCYFO members help to provide the students with guidance and expertise as guest speakers and volunteers in the classroom. The relationships fostered in the classroom extend beyond the walls of the school building. Many MCYFO members also offer potential career experiences for the students at Murray County High School through job shadowing and employment opportunities. The Murray County Young Farmers Organization is an outstanding example of how partnerships can help benefit the entire community. Not only do the MCYFO members receive agricultural education, but they are also involved in the agriculture program at the high school. This relationship provides benefits to both groups and helps develop well-informed citizens that will allow the local community to prosper. The Outstanding Postsecondary/Adult Ag Ed Program award recognizes exemplary 2-year postsecondary institutions and full time young farmer and adult agricultural education programs. Qualifying young farmer and/or adult ag ed program staff must devote at least 50 percent of their teaching time to this level of instruction. The 2016 Outstanding Postsecondary/Adult Ag Ed Program award was sponsored by Monsanto as a special project of the National FFA Foundation. Find out more about the Outstanding Postsecondary/Adult Ag Ed Program award, including the press releases and pictures of each regional award winner by clicking this link. This past year, when my children decided that they wanted to keep their gilts from the county fair and breed them, I became a little stressed. I had been an ag teacher for 18 years, but had never artificially inseminated pigs or watched them for standing heat. The pressure was on. So, I did what all good agriculture teachers do, I Googled it. 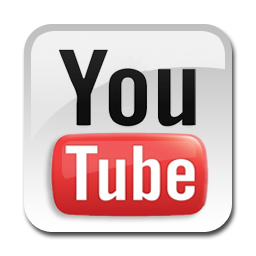 I found more information and videos than I could possibly read and watch. My Advanced Animal Science students began to sort through the videos and articles and pulled out the credible sources and highlighted themes. We also sought out local experts on the topic and asked for their advice. Our next step was to develop a calendar of events and prepare for some baby pigs. Three months, three weeks, and the three days after breeding, we had a litter of five baby piglets. These babies were the result of the network of knowledge, resources, and contacts we had developed. As we were searching for sources of information about swine reproduction, it was no surprise when the NAAE Communities of Practices page popped up on my Google search. It provided links to lesson plans and Power Points that fellow agriculture teachers had developed on the topic. It even provided me with email addresses so I could contact fellow agriculture teachers who had posted information on the topic. There is no way I could possibly put a value on the experience and expertise that those fellow agriculture teachers provided. Speaking of those fellow agriculture teachers, every time we go on a field trip, I spend a great deal of time talking with the agriculture teachers who are there. My students often comment, "Mr. Stone, I think you know everyone." Well, the truth is, I do not know everyone, but NAAE has provided me an opportunity to meet and work with hundreds of agriculture teachers from across this country. Those agriculture teachers are the ones I rely on when I have questions on anything from curriculum mapping to finding information about National FFA Housing on the website. 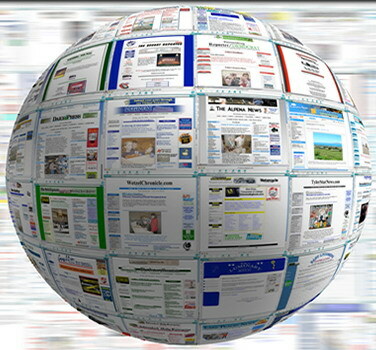 Speaking of websites, the NAAE website also has a tremendous amount of information for downloading. These resources provide information on anything from advocacy to professional development opportunities. The NAAE staff is currently working very hard on some of the professional development opportunities. The National Teach Ag Ambassadors have just been selected and you can find more information out about these individuals at http://www.naae.org/teachag/index.cfm#ambassadors. You can also expand your network of resources by attending a CASE institute this summer, that the CASE staff has worked very hard to develop. Finally, the NAAE staff has put together quite the line up of Teacher Appreciation Week activities. As we watch these five little pigs grow and develop into what will hopefully be our show barrows for this summer, I cannot help but think that none of this would be possible had we not developed a network of resources to help us through the process. The same is true with agriculture teachers across this country. Our professional careers would not be where they are today had we not developed a network of resources, which oftentimes begins with NAAE membership. This is just another one of my observations form my side of the barnyard.